I love my kitties!! I have 3 and might participate! I love LOL cats (and dogs). I don't have any cats (highly allergic) but I look forward to your weekly post! I'd like to try and participate. I LOVE cats as well. sounds like a fun idea. I love cat photos! I have a cat "mascot" on my Seasons blog...my cat Sasha, who I had to give up when I moved here. But I remember her with love. I have two cats and would probably take part... If I can remember to. My brain has sort of been fired with editing lately. Well, this was all the positive response I needed! 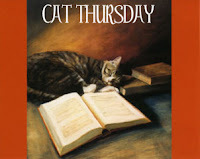 Cat Thursday is now officially a meme! I will put up a Mr. Linky next Thursday for those who want to participate. Yay! 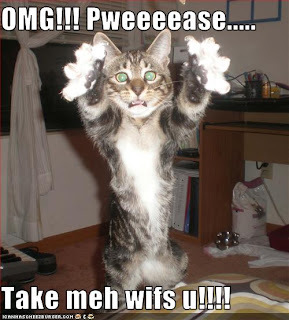 Love the LOL cats--although even looking at them makes me sneeze! Yea! Looking forward to next Thursday! Sounds like fun even to this non cat person.